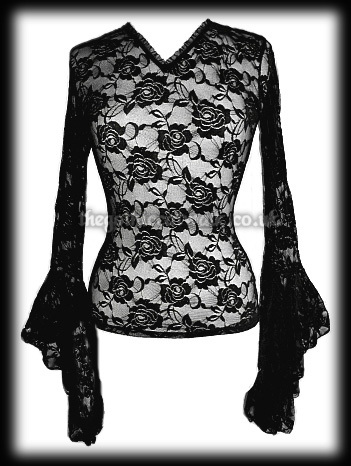 A lovely gothic top made from stretch black lace with a rose design. 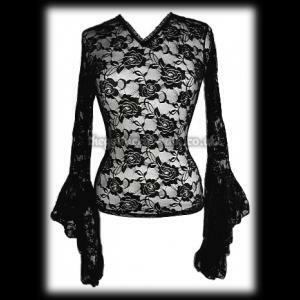 The V neck is trimmed with ruffled organza lace and the sleeves have wide flared cuffs. 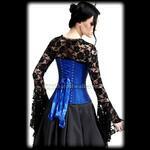 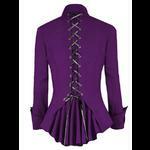 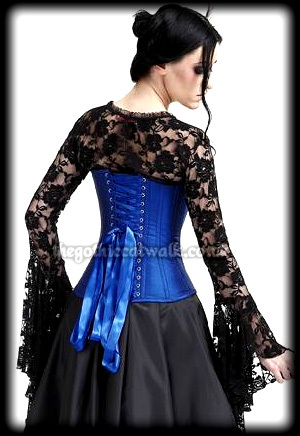 The top is perfect for wearing underneath a corset as illustrated in the photo above (corset not included).